Your donation goes directly to supporting our students and helps provide them uniforms, instruments and props for our band competitions among many other things. 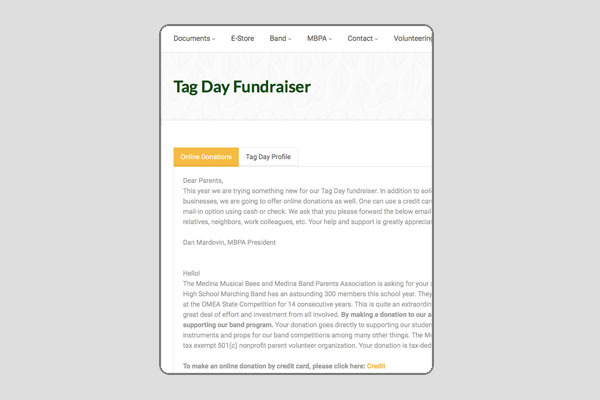 View our Tag day details! 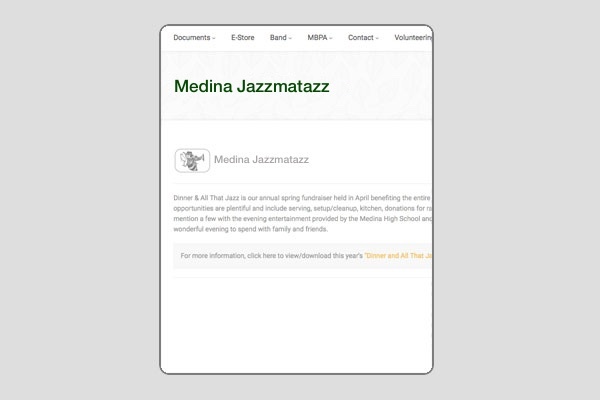 Dinner & All That Jazz is our annual spring fundraiser held in April benefiting the entire Medina Band program. 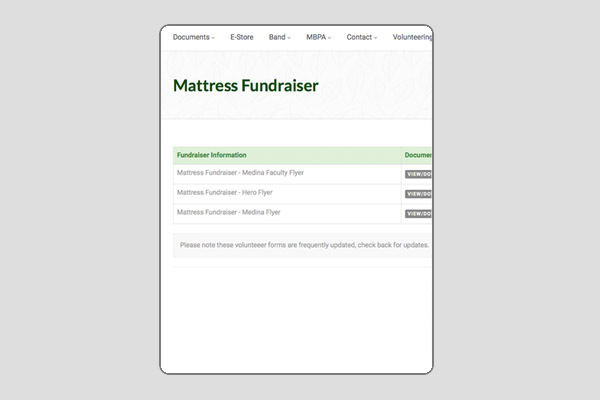 This is our annual Mattress Fundraiser, every purchase benefits the Medina Musical Bees. Save up to 50% off retail.